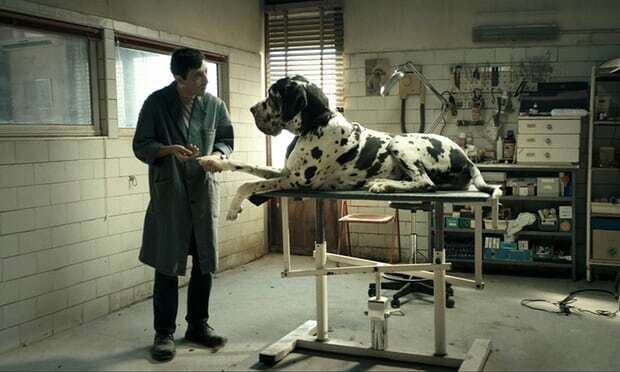 The BFI London Film Festival (LFF, 10-21 October) has teamed up with European Art Cinema Day to present the UK premiere of Matteo Garrone’s Cannes title Dogman. It’s the first time the LFF has collaborated with European Art Cinema Day, which will present arthouse films on more than 600 venues across the continent on October 14. The initiative was founded in 2016 by CICAE (International Confederation of Art Cinemas) in partnership with Europa Cinemas. The initiative is supported by Creative Europe MEDIA, CNC and FFA. Garrone and lead actor Marcello Fonte will take part in a Q&A at the LFF premiere, which will also be screened live at approximately 40 cinemas UK-wide, including the BFI Film Audience Network (FAN). Fonte won the best actor prize at this year’s Cannes Film Festival for Dogman. He plays a gentle dog groomer who finds himself in conflict with a violent former boxer who is terrorizing his neighbourhood. Curzon are releasing the film in UK cinemas on October 19. Other films already announced for this year’s LFF include Mike leigh’s Peterloo, which wil premiere in Manchester and Yorgos Lanthimos’ ‘The Favourite’. It will open with Steve McQueen’s Widows and close with Jon S. Baird’s Stan & Ollie. The full festival programme will be announced on Thursday 30 August.